Last week on Facebook I showed you some beautiful rhubarb I was so excited about. 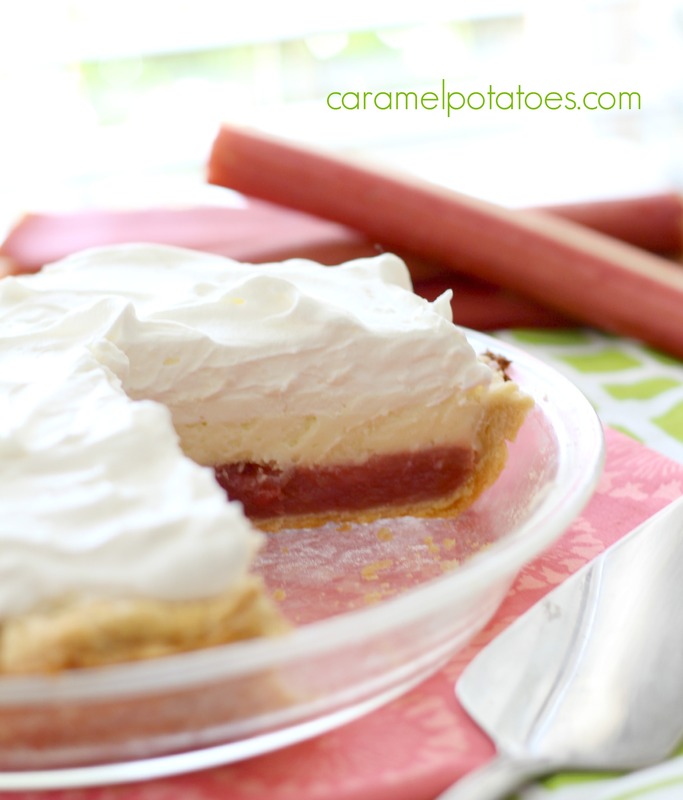 I wasn’t positive what I wanted to do with it, but I knew it needed to be wonderful because I was so tempted to make my favorite Rhubarb Custard Pie instead of trying something new. I decided to go to my mom’s recipe boxes because I knew she loved rhubarb as much as me. Sure enough I found a wonderful recipe I had never had before. I tweaked it a little and came up with this Rhubarb Cheesecake Pie; a delicious combination of two favorites- Cheesecake and Rhubarb pie. This combination is a little unexpected, but truly beautiful and delicious! Give it a try and let me know how you like it! In sauce pan, mix 1 cup sugar, cornstarch, and salt. Add rhubarb, toss well to coat. Cook over medium heat, stirring constantly, about 8-10 minutes or until fully boiling and thickened*, pour into prepared pie shell; bake 10 minutes. Do not turn off oven. In mixer bowl, cream together the cream cheese and 1/2 cup sugar. Add the eggs and mix until blended. Pour the mixture over the rhubarb in pie shell. Reduce the oven to 350 and bake pie about 30 minutes or until set. Do not turn off oven. While pie is baking, stir together the sour cream, 2 tablespoons sugar, and vanilla. Pour over pie and carefully spread to edges. Return pie to oven for 5 more minutes. Remove to a wire rack and allow to cool. Chill the pie for at least 2-3 hours or overnight. When ready to serve, whip the cream with 2 tablespoons sugar until soft peaks form. Spread over pie. Note, if your rhubarb doesn’t produce a pretty color you may want to add a drop of red food color. 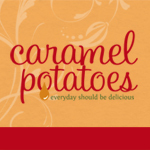 This recipe sounds delicious–thanks for sharing! WOW this looks amazing! I might have to give this a try!! I confused a bit. DO you wait the full 10 minutes before adding the 2nd filling (eggs & cream cheese) or do you add it as soon as you are done mixing it? Same Q for the next part. Do you wait the full 30 before adding the final filling (sour cream) or do you add it in as soon as you finish mixing it. 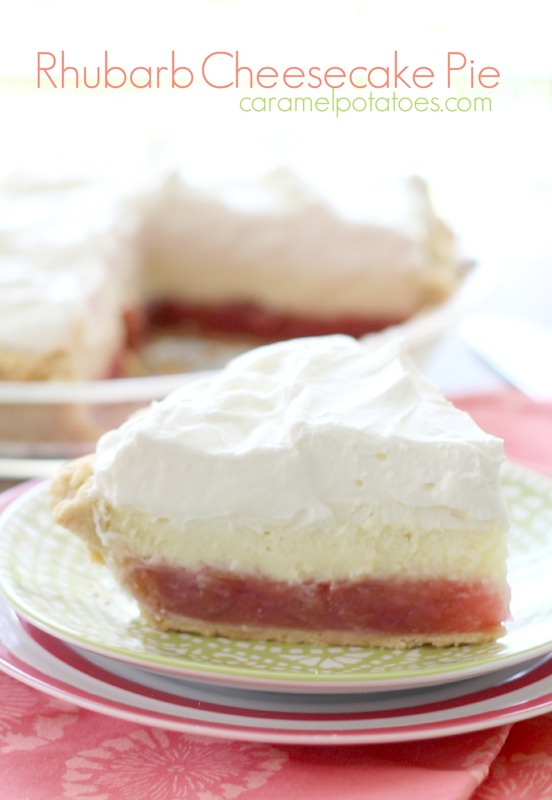 Put the first (rhubarb)layer in the pie shell and bake it 10 minutes. While that cooks, mix the cream cheese layer. Take the pie out of the oven, pour the cream cheese mix on top of the rhubarb mixture and put it back in the oven (reduce heat to 350). Finally take the pie out of the oven after the second layer has baked for 30 minutes and add the sour cream layer. Bake 5 more minutes and then cool. Hopefully this helps – let me know if you try it!! Stopping over from Time to Sparkle link party. 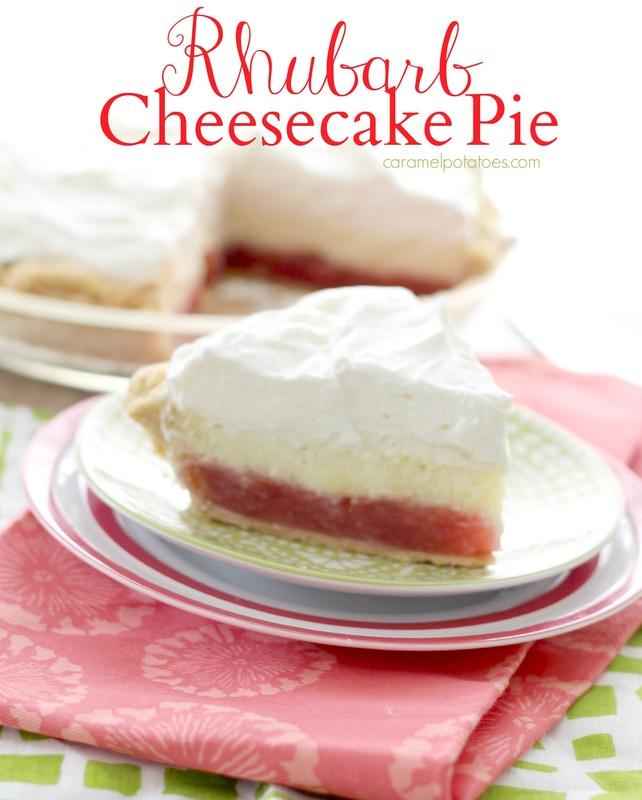 You had me at rhubarb AND cheesecake! Two of my all-time favorites. Pinning and trying for sure!